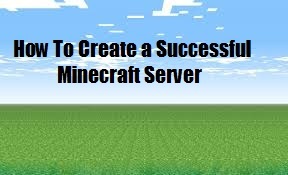 I have had a lot of experience creating and running minecraft servers, with this, I have created this basic eBook, that will help with creating your minecraft server and creating a good player base. I have helped many servers in the past, and I have finally decided to create a eBook on my ways. I had owned a server that had 50+ players on at almost all times. If you guys enjoyed this eBook, please tell your friends about it.